When it comes to inspiring young people to lead fulfilling and meaningful lives, teenager Crystal Matthews is an award-winner! The 17 year-old from Abercynon was recently presented with the “Outstanding Contribution To Youth Work” (Voluntary) Award at Rhondda Cynon Taf Council Services For Young People’s Youth Achievement Awards. Held before 600 people at The Coliseum, Aberdare, the fourth annual awards celebrated not only what Services for Young People and its partners offer young people from youth exchange to street based youth work, but also rewarded the good work that young people undertake right across the County Borough. Crystal scooped the prize for the positive impact she has on other young lives by her sheer dedication and commitment to the service. Initially she joined the Service in a business administration role on a short term placement from the training provider Rathbone. But as Head of Services for Young People Louise Cook explained, Crystal’s passion for supporting young people soon shone through. “Crystal quickly identified her desire to supporting young people who were disadvantaged or struggled to take part in activities due to their personal barriers. 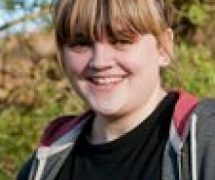 She has undergone a huge range of training from completing her Level One Introduction to Youth Work, Child Protection Training and drug and alcohol awareness training. “Crystal really believes that youth work plays an important role in supporting young people through their transition period. 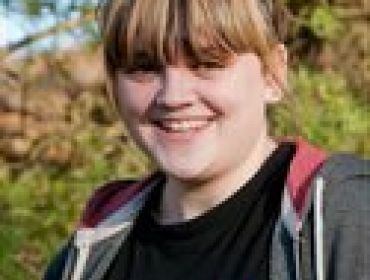 Crystal is a champion for nervous, shy, vulnerable young people and is very perceptive to their needs, making sure she is supportive and encouraging but also able to appropriately challenge any inappropriate behaviour. Former Mountain Ash Comprehensive School pupil Crystal added: “I’m really overjoyed to be recognised with the award, but in all honesty the best reward I could ever have is to see the young people grow in confidence and self-esteem, taking part in activities and having fun”. With continued investment in the Council’s award-winning Services for Young People, the aim of staff is to support individuals during the transition from childhood to adulthood, enabling them to explore opportunities to fulfill potentials and to empower them by providing opportunities to develop their knowledge, skills and attitude to fully participate in the community in which they live. The Service offers a wide range of activities, such as sport, food hygiene, first aid, drama, kayaking, computing, art and craft, trips and outdoor adventure. Any projects or activities that young people are interested in can usually be supported. Cllr Eudine Hanagan, Cabinet Member for Education, Skills and Lifelong Learning explained, “I am continually impressed by the quality of young people throughout Rhondda Cynon Taf and Crystal is another example of this.